Lower prices for a limited time. Receive everything you need to gain your drivers permit and drivers license – without wasting time a search for separate courses. Start with our popular online drivers ed course that helps you pass your permit test the first time. 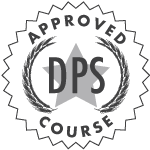 Our course is approved by the Utah Department of Public Safety, designed to get you comfortable for lessons behind the wheel. Continue your journey towards your drivers license with training provided by A-1, Utah’s #1 driving school. They’ll prepare you with all the necessary skills taught by the most qualified instructors to get you on the road as a licensed and confident driver. Two driving courses. One complete package. Receive the expert training you need to get your license with eDriving and A-1 Driving School. Take a look around this quick course demo. We've got 3-D animated videos that detail driving maneuvers, user-friendly slides with all the driving information you need, and multiple choice quizzes expressly designed to fit with our curriculum. Enjoy perusing all DriversEd.com has to offer! Enjoy interactive lessons proven to help you learn better, so you pass your DPS permit test! What's so great about online Utah drivers education? Well, for one, drivers ed is the key to getting your Utah Drivers License and hitting the road to freedom and independence. With online Utah drivers education, the process to earning your first Utah license is even faster. By taking our simple online Utah drivers ed course, you can meet your friends easier, get to school or work on your own, and never have to rely on your parents or others for rides again! At DriversEd.com, we've made it easy for you. Our online Utah drivers ed course is the fastest, smartest way to get your Utah learners permit. Internet-savvy Utah teens with busy schedules who need to study on their own time take online Utah drivers education with DriversEd.com because it fits their lives and keeps them out of the classroom on Saturdays. Best of all, this Utah course was designed for you. We make online Utah drivers education easy to understand, clear, and fast—which means only the most important information that every Utah teen has to know to become a good driver. The information that is included in our online Utah course is given to you in a straightforward way and talks to you like an adult. Getting your Utah drivers license is a big responsibility, and we know you know that, so this online Utah drivers ed course doesn't treat you like a kid. Your online Utah drivers education course includes comprehensive lessons about current Utah road rules, how to avoid collisions, sober and drug-free driving, and 50 free online Utah practice permit tests. Right now you're on the Utah drivers education course page—but take a look throughout the site—we offer a lot more than online Utah drivers education. DriversEd.com can help you earn an insurance discount, get a good deal on a car in Utah, and even gives you vehicle maintenance tips. We also have online drivers ed games and a chance to earn some serious money online at our Associate Center when you tell your friends about this Utah drivers education course. Earning a Utah drivers license should be simple. We know your goal is to get in the drivers seat as soon as possible and with as little hassle as possible—and we can help you prepare for your permit exam and even save you some money on insurance. Online Utah drivers education, the road, and your freedom are just a few clicks away. Drivers education is one of those BIG steps your teen will take in his or her life—but don't worry, you'll get through it. For a lot of Utah parents, nervousness sets in when their teen begins Utah drivers education, never mind when they get behind the wheel. But rest assured—when your teen takes online Utah drivers education with DriversEd.com, they get an online course that covers every critical aspect of driving that all Utah drivers need to know. And since it's all online, you can test drive our Utah drivers ed course with your teen to see what we're talking about. Our online Utah drivers education course gives your teen the chance to take Utah drivers ed comfortably at home, from any Internet-connected computer. They can study for 20 minutes or 2 hours at time—it's all up to them. But however your teen chooses to study—what they get for their time (and your money) is a high-quality online Utah drivers education course that is fully licensed by the Utah DPS. The material in our Utah course is presented simply, and covers every aspect of the road a new driver needs to know: road rules, signs, handling different weather conditions, avoiding collisions, different driving environments, dealing with peer pressure, and sharing Utah roads with other drivers. Our online Utah drivers ed course strives to make your teen a safe, considerate Utah driver. DriversEd.com is the nation's leader in online drivers education—our online courses are approved in 13 states, and we're members of the Better Business Bureau (BBB) and the International Association for Drivers Education. Join more than 13 million drivers who have trained and earned their license with us! We're no flash-in-the-pan online Utah education company—with a dedicated and professional staff with over 30 years of drivers education experience, our Utah course was created with modern education methods in mind. Our Utah online drivers ed course is designed for your teen to absorb important information that goes beyond the Utah drivers ed test (and makes sure they don't rush through the course) all for when it really matters—on the road. Other online Utah drivers ed websites offer a cheap imitation of real Utah drivers education. They simply take the Utah DPS's handbook and put it online. The Utah course at DriversEd.com is truly interactive, effective, and proves its worth immediately and over time. So don't worry, you and your teen have landed at DriversEd.com, the best online provider of Utah online drivers education.